The Truth in Lending Act (TILA) protects consumer rights by ensuring that consumers are aware of the terms and conditions of creditors when borrowing money and making credit card purchases. TILA mandates that creditors are absolutely clear in their terms and make a copy of the pertinent information for the consumer to keep. Terms must be easily understood and accessible by the consumer. TILA often applies to closed credit transactions, which means that a creditor will lend a specific amount of money to a consumer which he or she must then pay back. This is often seen in mortgage loans. There are certain areas of this type of loan which must be made absolutely clear to the consumer. The agreement must include the name of the institution, the amount being financed, the interest rate, payment schedule, and any other necessary provisions. TILA provides for what type of action may be taken by a consumer provided that the creditor breaks any part of this agreement. If the creditor fixes the error within 60 days, then the agency may not be liable for damages. The Fair Credit Reporting Act (FCRA) protects consumer rights regarding the collection and distribution of private consumer information. The FCRA establishes a set of rules and responsibilities under which a credit reporting agency must act. A credit reporting agency is a business that will compile and store consumer credit reports. The FCRA mandates that these agencies must take precaution against incorrect information and take the appropriate steps when a consumer disputes a specific piece of information. These agencies must provide consumers with all information that is pertinent to their credit report. Consumers are allowed one free credit report annually that can be requested via telephone, mail, or electronically. If a piece of credit information is incorrect, it must be removed promptly by the agency. The FCRA restricts certain practices of consumer reporting agencies to ensure that they are treating consumers fairly and properly. The Fair and Accurate Credit Transactions Act (FACTA) allows for consumers to receive one free credit report annually from one of three credit reporting agencies: Equifax, Experian, and TransUnion. A credit report basically refers to a history of transactions throughout a consumer’s life. It may also be called credit score. This includes information that may negatively affect a credit report, such as late payments, failure to pay, and bankruptcy. 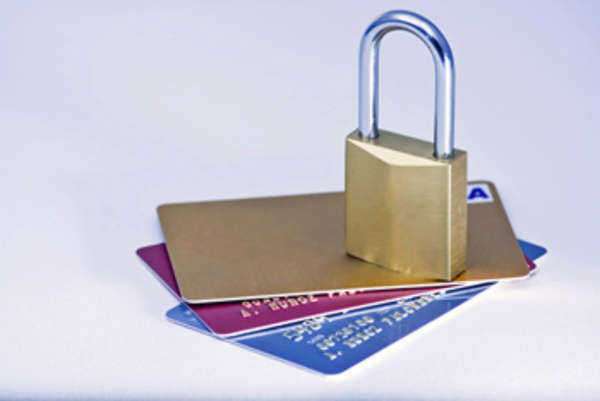 The FACTA also has several regulations that will ensure consumer protection against identity theft. For example, businesses are restricted from printing a person's credit card number on a receipt after a purchase is made. It will also outline the rights of a victim of identity theft, as well as provide a course of action that should be taken. Credit report agencies are restricted in certain practices under FACTA. This includes that rule that they are required to dispose promptly of any information that is obtained in error. This Act provides for free credit reports from the above-named agencies, but there are also many other businesses that will offer this. After a free initial viewing, the consumer will generally be charged monthly for use. The Fair Debt Collection Practices Act (FDCPA) was passed in 1978 and is designed to promote fair debt collection practices. This Act will provide rules and regulations for debt collection agencies and ensure that consumers are able to receive necessary information about their debt records. The FDCPA applies to all agencies that collect debt that is owed to a third party. The provisions of this Act prevent certain practices by debt collectors, such as: harassing phone calls, the use of profanity, unnecessary threats, using untrue information against the consumer, exposing the consumer's name and address as a person of bad credit, and continuing to contact the consumer after a cease of communication has been requested in writing. There are also several practices that are required: a collector must clearly identify himself or herself and the purpose for calling, provide the consumer with the name and address of the company to which the debt was originally owed, and ceasing contact after it has been requested. A debt collection agency is also required to inform consumers that they have the right to dispute a claim. Garnishment refers to the ability of a third party to directly pay off the debt of another person. This sometimes happens in lawsuits where a court order allows a third party to pay the debt of a defendant directly to the plaintiff. It is also commonly seen in wage garnishment. This is when a portion of a person's wages is deducted in order to pay off a debt. This may happen is order to pay child support, Federal orSstate taxes, student loans, or a credit card company. There is State legislation that will mandate exactly how much is allowed to be deducted, and there are states that only allow wage garnishment for certain purposes. A person cannot refuse wage garnishment, and if an employer is not able to set aside enough money, it could possibly be taken out of employees' paychecks. This can be very detrimental to the consumer. This is why it is always beneficial to pay off credit card debt. Most times, a person will be able to pay off the money at intervals by setting up a payment schedule. Wage garnishment is usually a last effort by a creditor to collect debts.